On the exposed sand bars and tidal pools, we saw lots of live mollusks like this beautiful LIGHTNING WHELK off Middle Gulf Drive. The full moon brought such a low tide so we also saw lots of other beautiful shells but they all seemed to be occupied by tenants. Then I saw Dana sitting in the middle of a tidal pool looking like a kid on Christmas day. She showed me a brilliant orange HORSE CONCH she just uncovered. Then she dug out an ALPHABET CONE. As I started to walk away, I heard her start laughing again… she dug up another ALPHABET CONE! She found herself a genuine honey hole! My friend Eilene hit a seashell honey hole too! She found an ALPHABET CONE then saw just a tiny bit showing of a HORSE CONCH in the sand and when she dug around it, she brought up a perfectly empty specimen. Chris must have found the queen bee’s honey hole! Wow! He said he found this gorgeous HORSE CONCH in a tidal pool with only tiny bit of the shell exposed too. Chris’s family Cameron, Chelsea, Jeni and Zoe got to share in the excitement of his great find as well as their full shell bags. My fave shell we brought home is this FREAK FIGHTING CONCH. Look at the funny top- I love it! So sometimes it takes a little more “work” to take home the gold or taste the honey but like always, the treasure hunt itself is the fun because some times it makes you get a little creative. Whelks are my favorite shell! But what type of shell is that in Eilene’s hand, sitting partially on the scallop? Wow…awesome shells. I have a found a conch like that. Wow ! you guys hit the Jackpot , great day for shelling ! Awesome finds!! Congrats to all! Looks like a bunch of nice shells. Jealous! I am green too Missi – with a capital “G”. I have to work until 5 today…where would be a good spot to go look for some goodies today around that time? It looks like they all found beautiful shells at the beach. Wow, that freak fighting conch must have been attacked by a big predator when it was half-grown and only just managed to escape with its life! Pretty amazing! Ok, I can kind of be anonymous here,.. 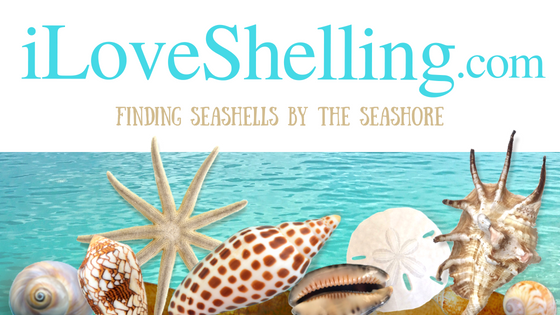 I had no idea we should dig for shells! I thought they were just lying on the sand for all to see and first come, first served. Wow, I’ve got some more learning to do before we head back to the place I want to retire. Your website makes my day – I read every comment and look at each pcture. Oh how I wish I was there with you all. Beauties, each and every one!! Wow! I went shelling here for the full moon low tide too. Though I had a fabulous time and did find some goodies they were nothing remotely as wonderful. I will be sitting and digging like Dana once I finally get there. Hopefully the next low tide. Until then your site keeps me going. We are so lucky to live in Southwest Florida and enjoy these beautiful sights regularly! That is funny, Pam! I will do that right now! I did look up the next full moon online somewhere, and I got July 3rd!! So hopefully that is right.. Then it sounds like it would appear full for aprox 36 hrs. I will check against your info. I am sooo excited! Not just for shells but roseate spoonbills and everything else Sanibel! School is done for me & now I can start my countdown to Sanibel! Thanks for the wonderful info you provide us & of course, the pictures! Sherryi, Yes, I think the colorful moon is a little harder to find than the sharks eye. Its beautiful, right? The dredging won’t effect all of us because its just like any other “road” project. There will be big machinery at Blind Pass and at Bowmans and noise from the trucks and generators. Really, don’t read too much into this dredging thing. There are a few people who have been asking about it, thats why I’ve mentioned it in my blog but the main thing about all of this, is that it keeps the waterways healthy and while they pump sand from one area to another, there are also shells that get pumped as well, so they come out of the tubes as well. In my humble opinion, it’s not glamourous by any means but it can fun if you are in the area already and want to see the sand pump out of the tubes. I have a friend who has a gigantic collection of shells collected from all over the world. We are wondering who might buy this collection or what we can do with it. It is taking up a tremendous amount of space, she is elderly and we don’t know any avenues in which to go. Can anyone lend us a hand and give us a starting point? Any advice and help is greatly appreciated! I will reply via email to any comments with good advice – thanks!